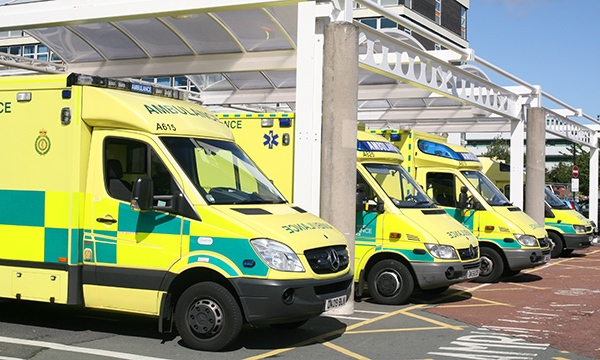 More than 3,400 people taken to emergency departments (EDs) by ambulance were forced to wait more than an hour to be seen last week, reveal the latest figures from NHS England. Data also shows the number of ambulance delays of more than 30 minutes went up by a fifth (20%) compared with the previous week – 14,300 people had to wait more than half an hour compared with 11,900 a week earlier. Of these, 3,420 were delays of more than 60 minutes, up from 2,340. RCN chief executive Janet Davies said while there was often intense focus on the ED four-hour target for patients, but the issue was wider. Ms Davies said that there were more patients waiting outside hospital in ambulances, more EDs closed to new arrivals, bed occupancy rates well above the 85% recommended safe limit, and more beds closed because of patients with Norovirus symptoms than in any week in the whole of last winter. She added that such winter pressures were a serious indication of a far more long-term problem. The Department of Health says ambulance staff should be able to hand patients over to ED staff within 15 minutes of arrival at hospital, and not doing so increases the risk to patients due to delays in diagnosis and treatment, as well as the chance a patient will get worse while waiting on a trolley. There were also 30 cases of ambulances being diverted to other hospitals in the week ending December 17. Unison head of health Sara Gorton said: ‘Ambulances queuing outside hospitals is another sign of the extreme pressure the NHS is under. ‘The government may have given the health service extra cash in the budget, but it was nowhere near enough. An NHS England spokesman said: ‘The recent cold snap has seen hospitals put under pressure, but they are generally coping.